Really they should have been all out for 140-150 but to get up to 250 was 100 too many and if we’d been able to get a 50 lead it could have been so different. 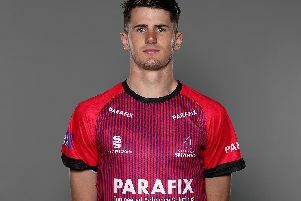 Mark Robinson, Sussex Cricket Manager, said afterwards: “The game was won and lost really in the first 15-30 balls that Woody (Luke Wood) faced on the first day. He could have been out to any one of them and then we he went into hitting mode we lost the plot a little bit – but he hit it well. “Really they should have been all out for 140-150 but to get up to 250 was 100 too many and if we’d been able to get a 50 lead it could have been so different. Mick Newell, Nottinghamshire’s director of cricket, said: “I think the last two games we’ve been disappointed to come out on the wrong side of low scoring matches but this week we’re absolutely delighted to come out on top. “All credit to the team, certain people obviously made major contributions but the whole team has chipped in over the course of the three days. Gurney, celebrating a five for 43 haul in the second innings, added: “I’ve been told that it’s a career best, so that’s going to cost me a £50 round of drinks for the dressing room, which is disappointing, but I guess I’d have taken it at the start.